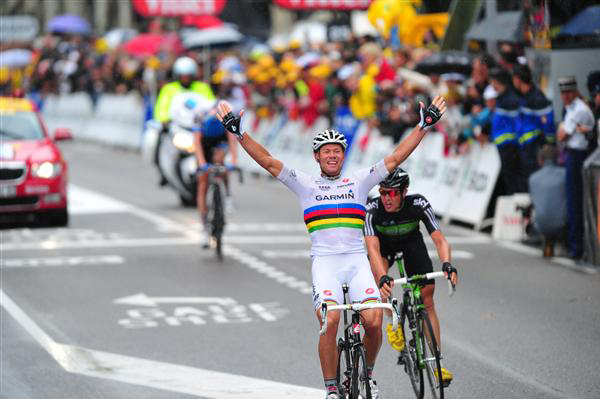 Thor Hushovd gets another stage win. Edvald Boasson Hagen leads Thor Hushovd. Ryder Hesjedal is just behind them. 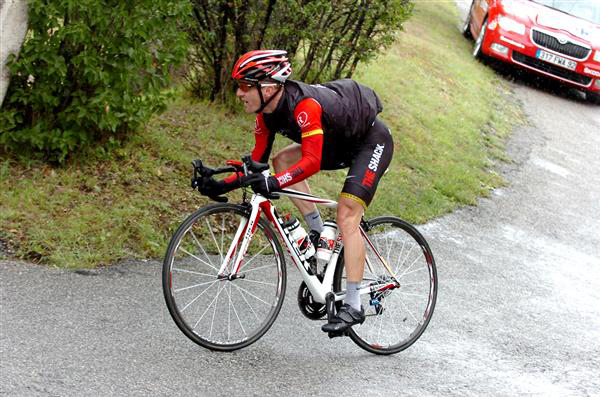 Cadel Evans lead Alberto Contador. 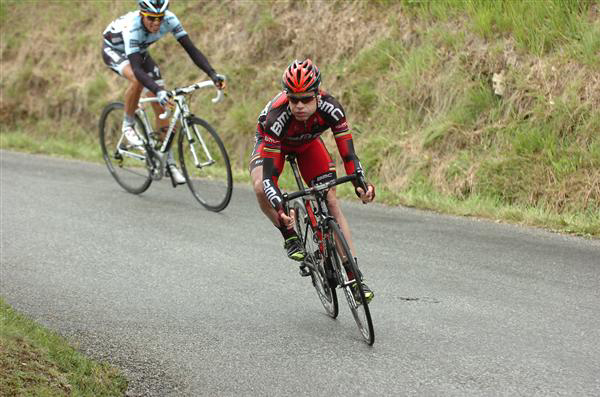 Samuel Sanchez is just behind them. There he is. 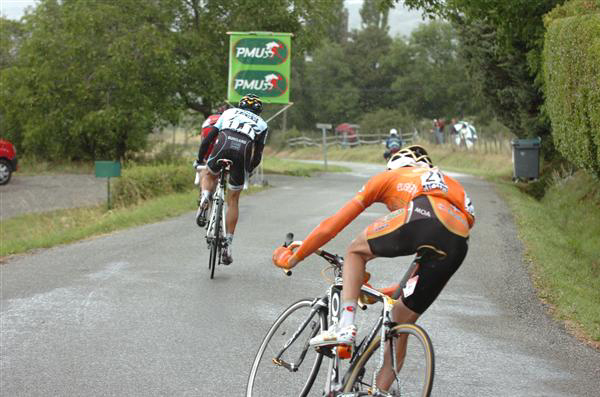 Sanchez follows Contador and Evans. 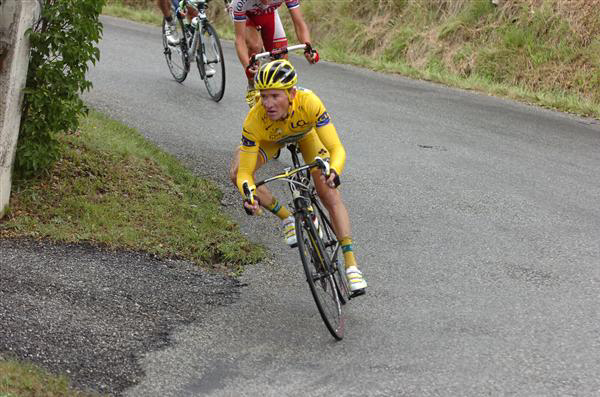 Thomas Voeckler has been slightly gapped by the Contador move and is leading the chase to close the gap. They can't do it. 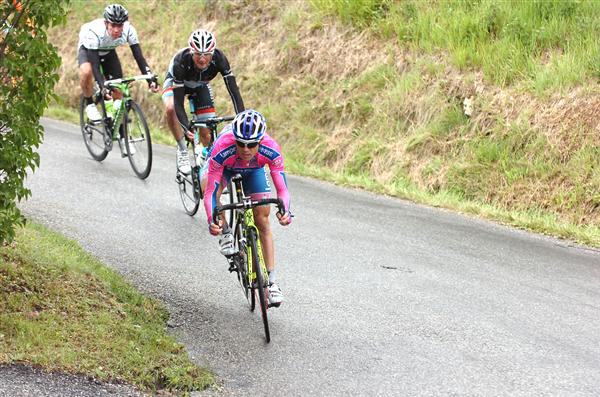 Damiano Cunego leads Frank Schleck and Rigoberto Uran, who are part of the Voeckler group. 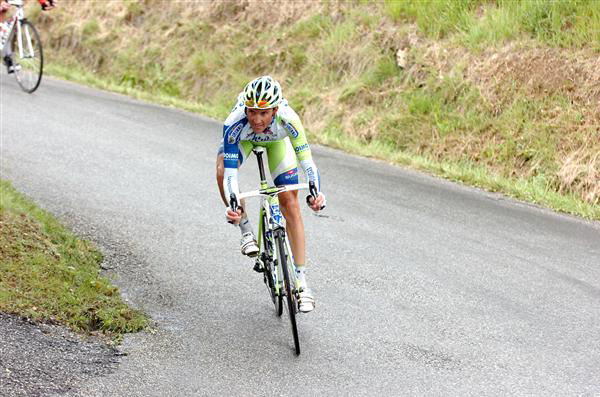 Basso is a timid descender and lost time today. 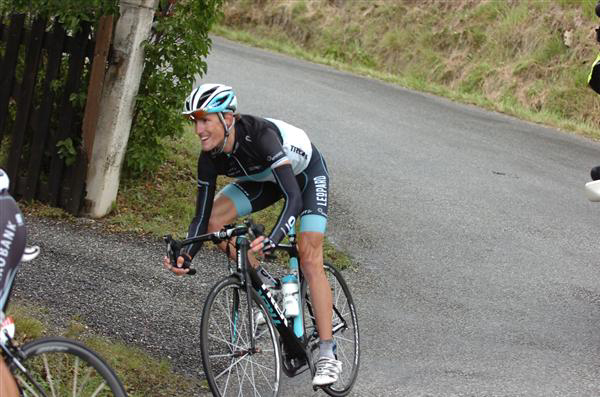 For Andy Schleck, who couldn't follow his brother's group down them mountain, the day was a catastrophe. Mark Cavendish finished only slightly behind the Andy Schleck group. George Hincapie makes his way to the finish after doing his part to help Cadel Evans gain time today. 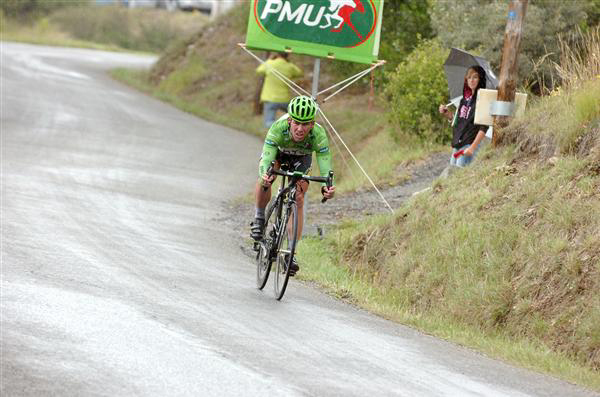 Another day in a forgettable Tour for Levi Leipheimer.